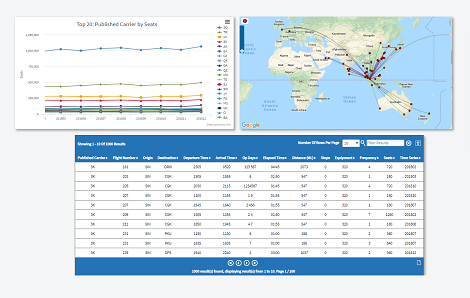 ANALYSE COMMERCIAL OPPORTUNITIES FOR NEW AIRLINE ROUTES AND SERVICES, IDENTIFY UNDERLYING AVIATION TRENDS AND MONITOR COMPETITOR NETWORK AND ACTIVITY. Use the Schedules module to help you understand and predict shifting demand in a fast-moving sector. Airline frequency and capacity analysis helps you plan new routes, benchmark the opposition, identify new business opportunities and grow your networks. 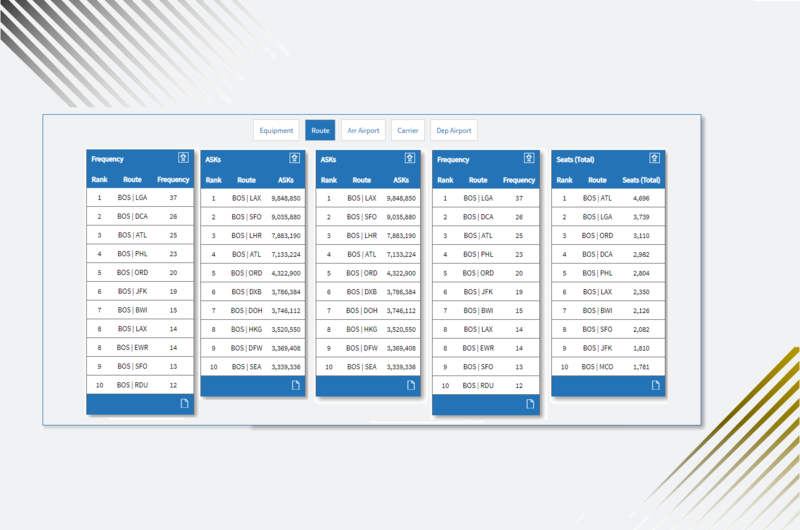 Create customised reports to view capacity, top airline carriers and more as you build viable plans for growth and development. 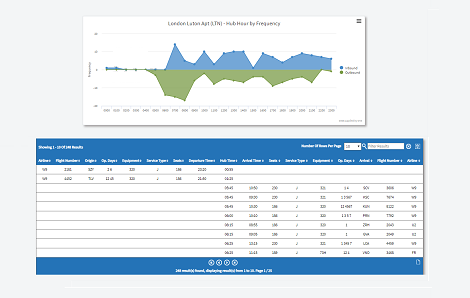 Drive your commercial decision making with definitive airline schedule data analysis and predictive insight. Model future demand and passenger flow through airports to build convincing business cases and sell your plans to clients and internal stakeholders. Focus on the right data to deliver the insight, reports and charts you really need to answer the following questions. How viable is a route? What opportunities exist for new routes? Where can market share be increased? How is the competitor network changing? How can airport resources be planned to meet passenger volumes? View important schedules information across different dimensions. Analyse flows of flights in and out of a hub airport within a 24-hour period. Compare schedules for two time periods to analyse changes over time. 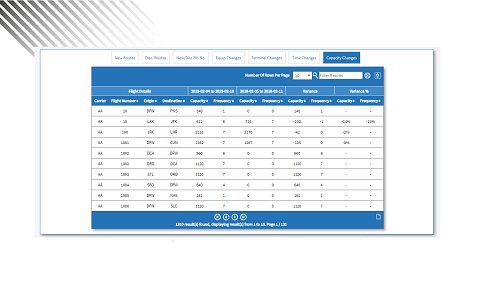 View top carriers, top departure/arrival airports or top aircraft types all based on various metrics. 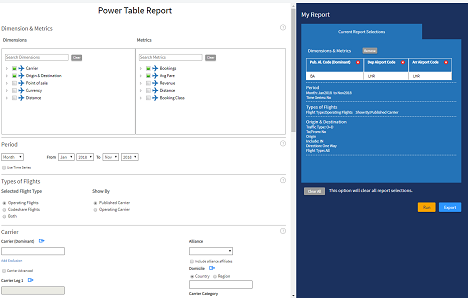 Create a fully-customised report of flight schedule data.